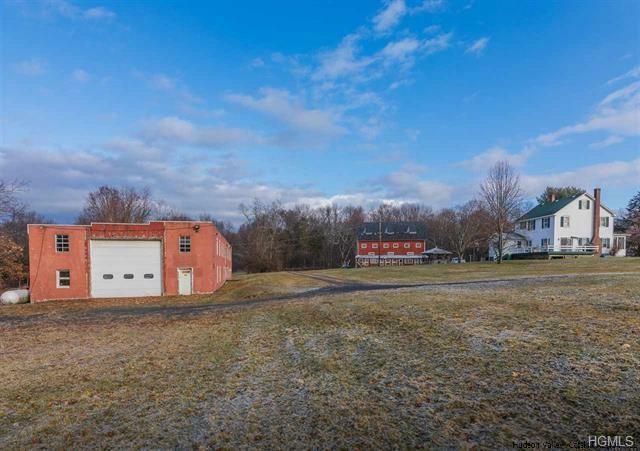 A unique live-work or investment opportunity: This 21-acre former farm, flexibly zoned for a long list of commercial uses. 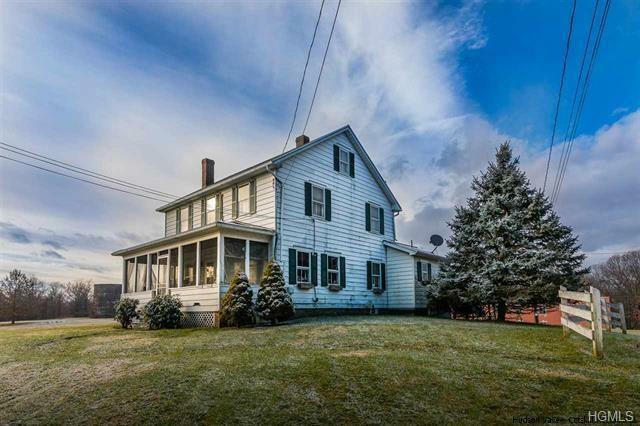 Set back discreetly from the road, with 2 driveway entrances, the bucolic property is home to 3 substantial buildings: a classic and sturdy 2,060-sq ft farmhouse with 3 bedrooms and 2 baths, a mammoth 3-level Dutch barn with 3 garage bays, plus a separate 2-story 8,800-sq ft concrete block warehouse building with an 18-ft bay, 20-ft ceilings and separate water and septic. The property features a 263-ft drilled well and an 85,000-gallon concrete water tower ripe with creative potential. 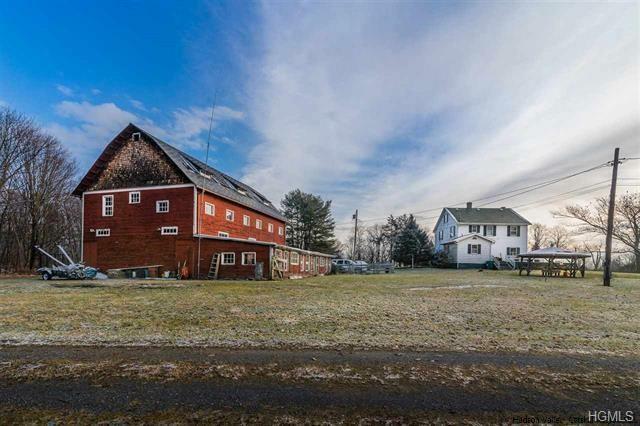 Perfectly suited for a new life as a weekend farm, distillery, inn, food and beverage destination, wellness retreat or light manufacturing site, the property sits across the road from Hudson River frontage. Recent traffic surveys indicate the site is passed by more than 5,000 cars daily. 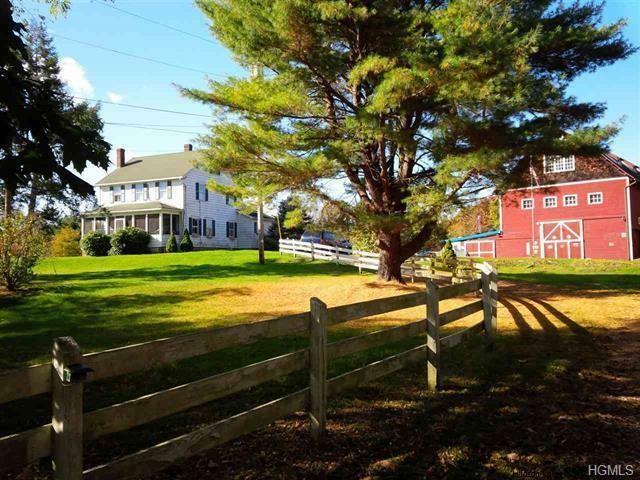 Listing courtesy of Donna Brooks of Bhhs Hudson Valley Properties.